Pay only for the Drinks! 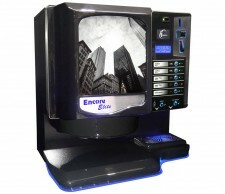 Are you looking for a No Risk, Easy to use Vending or Coffee Service? We offer a whole range of Proven, Simple to use Guaranteed Equipment that can solve Wasted Time, Mess, and Save Money! Want Proof? Contact us here 0800 413252 for your FREE Demonstration Samples of our Tasty Tea’s Coffee’s Chocolates Soups and lots more! Our FREE Survey Report will guide you to the best solution for You! Don’t buy the wrong equipment. How It Can Work For You! Charge 20p and the machine has paid for itself! Our Vending specialists with many years of experience will give you FREE personal guidance. Also available – Outright Purchase, Leasing, Interest Free Credit Plan. Or ask for information on our excellent Refurbished Machines at Half the Price of New! It costs you nothing and is Risk Free! De luxe Drinks Ltd have been established for 15 years and started with, Drink Dispensers, known as the Fountain Series serving, Cappuccino, Coffee, Chocolate, Soups etc. We later moved on to the the very successful, In-Cup vending machines and the more office style, Bean to Cup, (Bean 2 Cup) and Cappuccino machines serving: Tea, Coffee, Chocolate, Espresso, Latte, Mocha, Cafe Creme, Soups, Decaffeinated, Freshbrew Tea and not forgetting our Fairtrade Tea & Coffee range. We also provide the facility of Ice Cold Water, Cold Cans, and Bottled Drinks with extension machines for Snacks including: Chocolates, Crisps, as well as the more healthier options. Our Hot Drinks are of an exceptional, high quality whichever route you choose. We provide a range of options including the Free Machine Scheme, Managed Vending, Leasing of Coffee Machines. Free trials can be arranged. The added extra to our business are Bottled Water Machines , Mains Filtered Water Machines. We also provide Water Filters and Bottled Water. We are pioneers of the Free machine Scheme – ,You pay only for the Drinks, Buy our products get the machine Free. We cover a very wide range of areas -, East Anglia Vending, Suffolk Vending, Essex Vending,and of course our local areas being, Colchester Vending, Southend On Sea Vending, Chelmsford Vending, We have the facilities to supply: London Vending,including the all important and busy, Central and West End areas of London, Please feel free to contact us for infomation or a, Free Trial/Demonstration, or a quick installation for those who need coffee fast. All covered with our professional high standard service with speedy deadlines. So dont waste any more time, contact us NOW for more information!! !